When Brett Shannon saw the blonde woman’s face in the photo, he was confused. He thought maybe his partner Doreen Parker had photobombed, but when he blew up the image (see above), it clearly wasn’t her. “The other thing was that she was standing right next to me when I took the picture, so it didn’t make any sense,” says Shannon, a scenic painter who along with Parker was doing restoration work on the new Clifton’s Cafeteria. That kind of activity is exactly what interests writer James Bartlett, who compiled various stories about L.A.’s allegedly haunted restaurants and bars in his 2012 book Gourmet Ghosts. In it, he tells of Invisible Irma, a ghost who reportedly plays the piano for guests at The Magic Castle, where a bartender named Loren Tate is said to still serves patrons…even though he’s been dead for years (mwahahaha)! At Musso & Frank Grill there have been alleged sightings of a headless spirit running around. Bartlett, who will be hosting a story-telling session with Dearly Departed Tours this Friday, is currently working on a follow up to Gourmet Ghosts. While he didn’t want to give too much away, he says one of the most interesting stories he’s come across during his most recent research centers on Silver Lake’s El Cid. “Pretty much everyone thinks its haunted—all of the staff,” Bartlett says. “They’ve had glasses smashing, lights turning on and off, the bathroom always seems to get locked and they can’t open it from the inside. Someone’s seen a beer bottle float across the bar.” He says people have also heard guitar playing coming from an empty stage, which some deduce is the ghost of Gino D’Auri, a flamenco guitarist who passed away in 2007 at the age of 69. 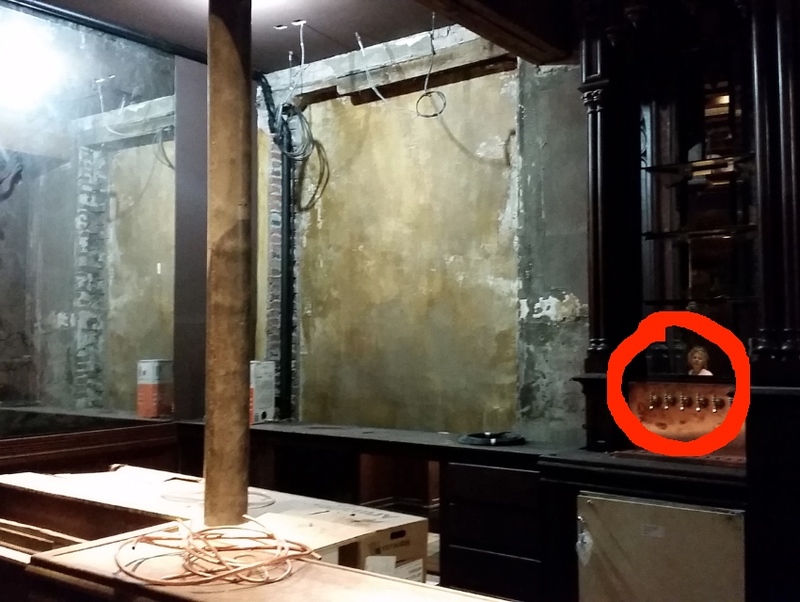 Bartlett says that bar and restaurant owners are surprisingly forthcoming about the supposed hauntings. Some establishments, like the Biltmore Hotel, even pay homage to their scary, sorted pasts with drinks like the Black Dahlia, which was named after L.A.’s most infamous murder victim as the Downtown institution was the last place she was ever seen. 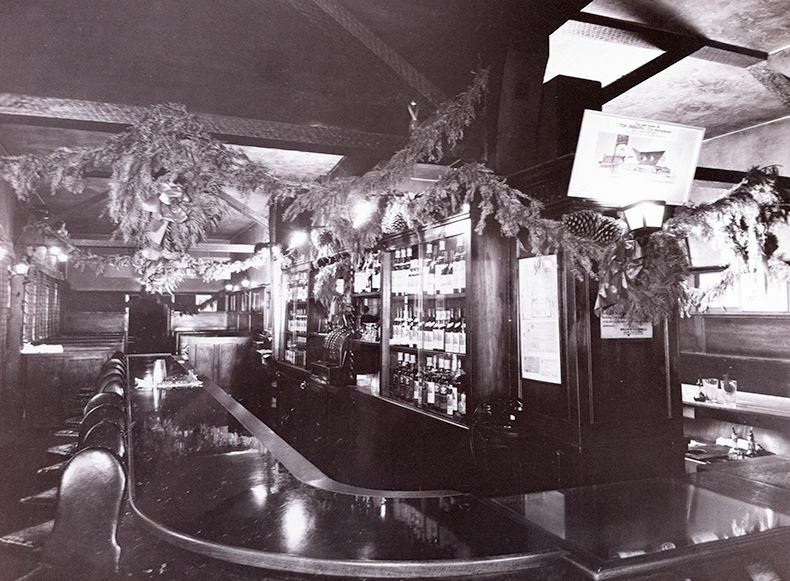 The similarly named Delia cocktail at The Basement Tavern in Santa Monica is a nod to the woman who is believed to haunt the space. Employees of The Spare Room, tucked inside the infamous Roosevelt Hotel in Hollywood, say they’ve heard whispers and laughter in the empty bowling alley when closing the bar. Others have said they saw the reflection of Marilyn Monroe in a mirror that was kept in the bar office. It was—cue Twilight Zone theme song—(supposedly) THE SAME MIRROR that hung in the private suite she once lived in. Tom Bergin’s Public House also takes their own spooky happenings in stride. 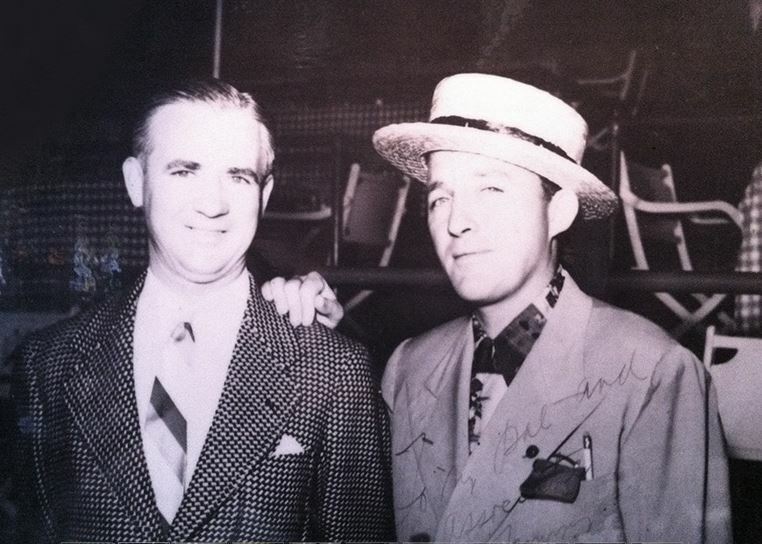 For years, they say, the staff has been reporting glasses falling off shelves and the distinct smell of cigarettes coming from original (and long deceased) owner Tom Bergin’s favorite booth, where–get this–he used to sit and smoke cigarettes while entertaining the likes of Bing Crosby and John Wayne. The classic Los Angeles pub has lost multiple overnight custodial workers scared off by apparitions of an old man in a tan suit smoking on the fireside couch. It’s not all bad, though. And actually, the staff thinks Bergin still looks after the bar. They say they always know they’re going to have a great night when the “Tom” portion of their neon sign, which usually inexplicably flickers despite the fact that it’s attached to the same circuit as the rest of the sign, suddenly lights up. Author James Bartlett’s Dearly Departed Tour event will take place this Friday, October 30 (a.k.a. Devil’s Night). You can find out more on Dearly Departed’s Facebook page.